Retail $4.60 SAVE 20% ! 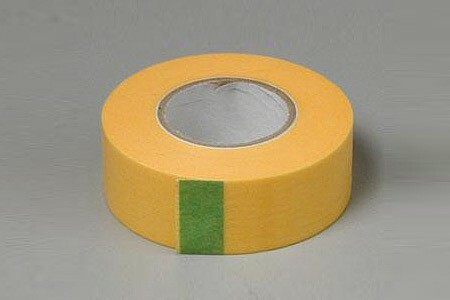 Excellent masking tape that seals good without the paint bleeding through. i use for masking two tone paint jobs, low tack so it dont peel away paint already sprayed. I love Tamiya products. Even their masking tape is easier to use than the stuff you&apos;ll find at Home Depot, or the local hardware store. It&apos;s flexible, so it bends and wraps around those small tight spots modelers dread (and love). It is also easily removed and won&apos;t mess up the finish you&apos;re trying to protect. Ok I have used other masking tapes even went to the box stores early on buying big rolls of tape for cheap. The problem I found is the residue regular tapes leave behind. Especially needing to leave the tape on overnight. Even though you may not see what other tapes leave behind your paint will find it. Then I found plastic modeling masking tape. Enough said.